Welcome Party & Rehearsal Join the Kick Off Welcome Party in the Band Room at the Little 5 Points Community Center starting at 6:00 pm. Rehearsal will begin promptly at 7 pm at the band room. 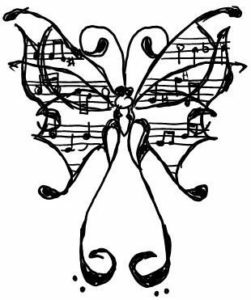 We will run through all of the songs of the weekend during rehearsal before the Inman Park Neighborhood Association Butterfly Ball. Wear your Faux Formal! Merchandise will be for sale in the back of the room. Questions? Chat with Donna at mouth@seedandfeed.org. Hooray Flutes! Please chat with Laura Willard if you have any questions about the sectional. Thanks! Yay Clarinets! All Clarinets are invited to join the May sectional. Questions? Please chat with Mary Kay!